If you are, and you are from the Mountain Province area, particularly Bontoc, then we have just the right information for you below in our listing for the hotline number and telephone office location address of this branch of the social security. Also check out the map we have from Google Maps for a guide on how to get there. Address of SSS Bontoc is at Kiat-Ong Bldg., Sug-ang St., Poblacion, Bontoc, Mt. Province. You may contact them at telephone / fax number (074) 602-1280. Branch Head: Abelardo C. Yogyog and their branch e-mail number is bontoc@sss.gov.ph. This entry was posted in Branches, Corporate and tagged hotline numbers, office address, sss bontoc, sss branches, sss mountain province, telephone numbers. Bookmark the permalink. My sister is 55 years old. 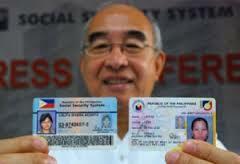 pwede pa po b sya maghulog ng sss for fiture pension? i want to register in my sss to check my previous contribution,but the sss no. in which i have with me is invalid,what is solution in this problem,because i want to re activate my sss,please advised.